While much of New Jersey faces a more serious “Winter Storm Watch” on Friday, South Jersey will be under a less drastic “Hazardous Weather Outlook,” according to the National Weather Service. North Jersey could see as much as four inches of snow in some areas, according to the forecast. But Camden County and nearby is likely to experience rain, wind and possibly some accumulation of snow. AFFECT THE AREA FRIDAY INTO FRIDAY NIGHT. MOSTLY RAIN IS EXPECTED DURING THE DAY. WINDS ARE POSSIBLE LATE FRIDAY INTO SATURDAY. The lowest temperature in coming days is expected to be in the upper teens Saturday night before rebounding back to a high of 52 degrees Monday. A chance of rain and snow is forecast on Monday and Wednesday. 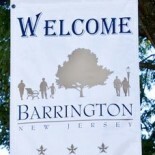 This entry was posted on February 7, 2013 by Barrington Bulletin in Region and tagged weather.